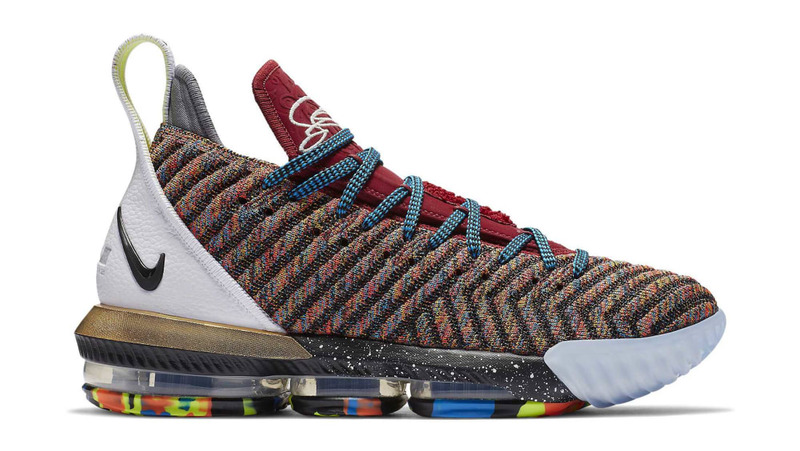 Nike Nike LeBron 16 "What The"
Nike LeBron 16 "What The"
A blend of the earliest colorways, the "1 Thru 5" or "What The" Nike LeBron 16 features a multicolor Battleknit 2.0 and leather upper. Release date is September 15, 2018 at a retail price of $185. News Nike LeBron 16 "What The"